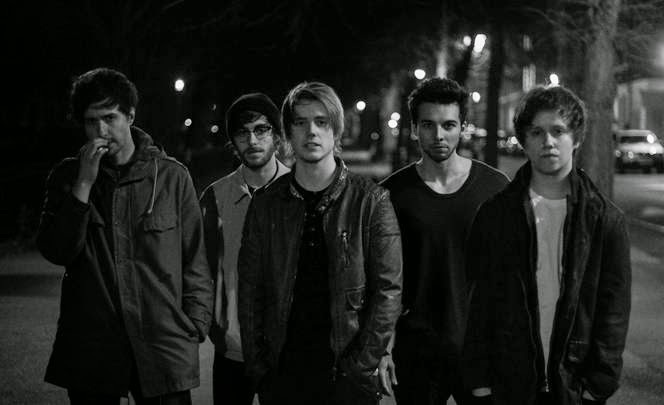 Recent signees to RCA Victor, Nothing But Thieves make for an exceptional debut with their forthcoming EP and lead lead single Graveyard Whistling. Using full breadth of their musical depth the Southend quintet deliver a rousing display of aspirational stadium worthy rock. If this is your first taste of the band's music, like me, I can only assume you're also sat here speechless, the unfathomable beauty within their intrinsic songwriting bouncing around the walls. As lead singer Conor Mason pours out his fragile yet heartfelt falsetto, the track's dainty opening notes subtly fade in to its rising cresendo, unprecedented with the kind of beauty one would expect from such rich harmonies. Most certainly making their entrance known, and with the bar already set this high, who knows what other magical treats are still left to come. Watch a live performance of the EP's title track above and check out the studio recording below. You can pick up the 'Graveyard Whistling' EP from July 21st.